Find My Workspace lists over 95% of the business centres market in Merrow. Simply click Request Quote to check pricing for one office, or Add to Basket for multiple offices. 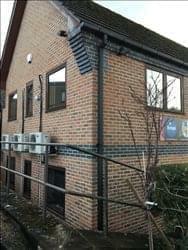 This recently refurbished business centre located on Merrow Business Park, offers bright, modern office space for 1-3 people all located on the first floor of the building. The On-site management team are friendly and offer personalised support to help your business thrive, making this space perfect for start-up or small business. Additionally, tenants here benefit from 24/7 access, on-site parking and access to a fully equipped kitchen perfect if you don’t want to leave the office for lunch!